Come prepared. No website design company or independent designer knows your business as well as you do. You don’t have to become a design expert, but come to the table prepared to explain your business goals, identify your core audience, and explain what you find attractive in a website. Don’t hire your brother-in-law (unless, of course, he’s an award-winning web designer ready to deliver an amazing layout by next Thursday for free). As a rule, it’s best to forego Craigslist and search on reputable sites for designers. Look at their portfolio and note whether they have experience designing for your industry. The culture of your company enters into this consideration: if you appeal to a fairly older or more conservative customer base, a youthful, “cutting edge” approach may not be the best for you. As well, see if the agency’s sites appear to be geared toward the individual companies as opposed to a cookie-cutter templated approach. Ask for their opinion on your current website. A good web design agency will study your site carefully, weigh its content-based and technical strengths and weaknesses, and respond accordingly. If an agency’s first response is to “dump” your site entirely and start from scratch, it could signal that the designers lack flexibility. Listen to their pitch and watch for any attempt to overwhelm or falsely impress you with “techy” insider language. Your web design agency should be able to explain in plain English how they work, what ideas they have in mind, what it will cost and where the next steps will take both of you. Get some references or recommendations. If you admire certain sites, whether of colleagues or just ones you stumble upon in your normal searches, you can sometimes find the site developer’s name at the bottom of the homepage. Otherwise, reach out to these companies to find out about what website design companies they’ve used. Consider going local. Today’s mobile work environment means you can contract a web design agency down the street or across the country. Either option may well serve your needs, but a hometown agency could have a better handle on your company’s culture, especially if you do a lot of local business. The potential for face-to-face feedback and on-the-spot brainstorming also adds value to the relationship. Involve a developer to ensure that the design agency’s proposed layout will work within the parameters of your website. Remember that today’s user is as likely to pick up a smartphone or tablet as sit down at a PC, so your site should be optimized for mobile devices. Ideally, your design agency also offers development services, for single-source convenience. 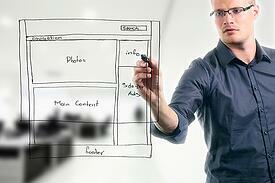 Discuss how inbound marketing and other branding is handled by the web design agency. While such strategic elements are not part of their core competency, your designer should have at least a foundational knowledge about how logos, SEO, CTAs and landing pages enter into the design. 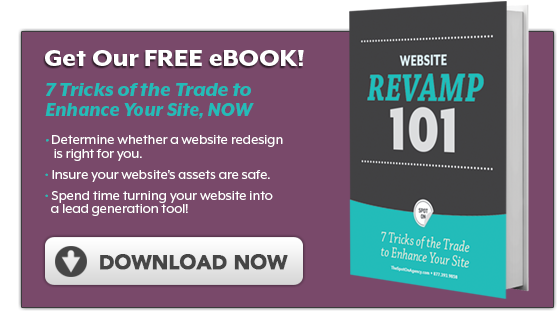 Thinking of a website redesign? 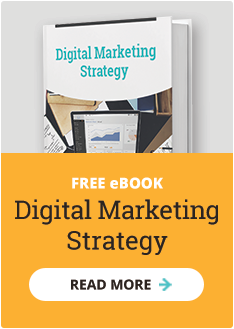 Download our free eBook before you get started!